The subsets have been replaced by kits. 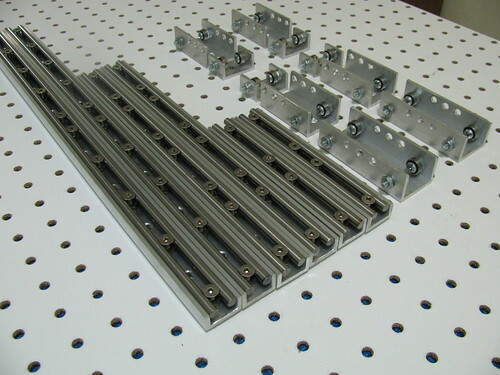 This subset includes linear rail pairs of different lengths from 6" to 24", as well as linear bearings. Note: the BoM is arranged and the vendors are picked to minimize the total order cost. Some vendors happen to have affiliate programs in which we participate. For us this is one of the ways to raise money for the project. For you, there is no added cost. If you come across a significantly cheaper vendor, please let us know.